Do you have a young child who is learning to read? Maybe one in elementary school that is struggling with reading? We're excited to be working with Reading Horizons to introduce you to a phonics program that will help your kids become fluent readers. Guess what? 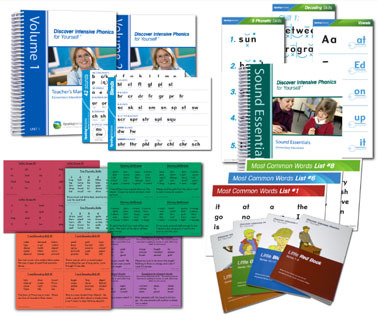 One of you will even win the Intensive Phonics Instructor Materials package valued at $299! The Reading Horizons Intensive Phonics Program for ages 4 through 9 is a great tool both for home and school education. It's actually a scientifically based program that incorporates teaching the 42 sounds of the alphabet, five phonetic skills, and two decoding skills. Combined, these three increase one's ability to read English. Interested? You may try their sample lessons to get a feel for the program. Need some convincing? 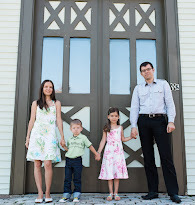 Read these awesome testimonials from parents and kids. You'll probably notice that they do have a reading program for older children and adults as well for those that struggle with reading, are learning English as a second language, or have learning disabilities. If you want to learn more about how you can help your child learn to read or to improve their reading skills, join Reading Horizons for a free webinar on Monday, August 20th! One of you will win the complete Reading Horizons Intensive Phonics Program package outlined above valued at $299, great whether you are homeschooling or your child attends school! Please enter using the Rafflecopter form below. Huge thanks to The Homeschooling Blog, Confessions of a Homeschooler, and Dinker & Giggles for teaming up with Eco-Babyz to host this giveaway! Disclaimer: I received no compensation for this publication. Eco-Babyz, The Homeschool Blog, Confessions of a Homeschooler, and Dinker & Giggles are not responsible for sponsor prize shipment. So excited to try the free samples. They have a 30 free trial. I learned there are 42 Sounds of the Alphabet. I didn't realize part of reading successfully meant the ability to break words into syllables. I'm a very good reader but wasn't initially. I learned one of the strategy how to know when to spell words with C" and K" very interesting perspective, i have to explain to my son this will help him with his spelling. On the Educator tab, I learned they have a program called Reading Horizons V5, which is a remedial reading program involving direct instruction and computer software for kids ages 10 and above who have low reading skills. The five phonetic skills allow students to identify the five common patterns of English words and "prove" the vowel sound in a word. Proving words using the five phonetic skills is an indispensable tool used to decode, pronounce, and spell new words. it would enhance how my children learn their vowels and use the sound in a word ! I learned that the roots of the Reading Horizons products, Reading Horizons at Home and Discover Intensive Phonics at Home, are grounded in an intensive, explicit, systematic phonics program crafted in the early 1970s by education professional Charlotte Lockhart.